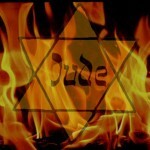 OzTorah » Blog Archive » Antisemitism – endemic or epidemic? The following article by Rabbi Raymond Apple originally appeared on the website, The Jewish Thinker, on 10 January, 2013. There’s an old rhyme, “Jews are news.” These days, it’s bad news. Antisemitism is alive again, often cloaked as criticism of Israel. Ask the modern-day antisemite about the constant cases of nations killing their own people, and you will probably hear, “It’s a problem. But we still hate Jews.” It seems the human heart has room for many hatreds at the same time. I am not amongst those who say there will always be antisemitism. I believe it can be eradicated, like other prejudices. Prejudice in general can be removed or at least lessened along the lines of a cartoon in the London Evening Standard showing two women in an insert surrounded by dead and dying victims of the Nazis. “It must be the fault of the Jews!” the women are saying. Their names are Ignorance and Bigotry. Ignorance and bigotry say it all. Replace ignorance with information and bigotry with broadmindedness, and you will eventually reduce or remove prejudice. It will be an uphill battle, but it can be fought and won. In relation to antisemitism in particular, continued effort by goodwill movements will eventually chip it away. Not just by producing correct facts about Israel (e.g. rebutting the “apartheid state” accusation), which doesn’t make any real difference to the antisemites. Nor does it impress the critics to know that Israelis themselves, and Jews everywhere, are far from monolithic about Israeli politics and policies and democratically debate a range of views and positions. The slogans and stereotypes insist – almost as a tenet of faith – that Israel is in the wrong. They claim that it’s only Israel and the Zionists they oppose, but because Israel and Judaism are so intertwined, any attack on Israel is also an attack on Judaism, and no Jew anywhere is safe any longer. Where did it begin? With resurgent Islam? With human psychology? With the anti-Judaism of the ancient world? More probably, serious antisemitism as such began with Christianity, and so did anti-Israelism. Priests and prelates tell Jews to stop saying that the scriptures justify Zionism, as if anyone can erase Zion from the Bible. Solemn synods airily decide that Jews treat Palestinians without compassion, regardless of fairminded studies whose conclusions are quite different. High-minded Christians tell me that the unqualified endorsement of every negative word about Israel and Judaism is far from essential to Christian theology, and that there are honest Christians who do criticise the critics. However, “solid” antisemitism derives from Christian theology. It argues that Jews should have died out or become Christians long ago. It is bothered that Israel the people has survived and created Israel the State. This notion led to countless riots and pogroms and the destruction of innumerable Jewish lives. These days the targeting of Jews is not usually by Christians, but it was the Church that planted the seeds of antisemitism. Prelates speak rhetorically about interfaith amity and loving one’s neighbour, but we want to know why every branch of Christianity doesn’t stand up boldly and speak out against the anti-Jewish calumnies. We want to know why Christian leaders don’t take their tolerance to the streets and allow Jews – and everyone – the right to be themselves. We want to know why they don’t explain (don’t they know?) that Jesus was a Jew, not a Christian, who had no intention to create a new faith and would be more at home in a synagogue than in a church. We want to know the logic of blaming someone (the Jews) for killing Jesus whilst arguing that his death removed sin from the world. We want to know why, if God can allow Jews and Judaism in His world, the Christians can’t take a leaf out of His book. Can’t Christians find room for other faiths? Can’t they acknowledge human conscience? Do they lack the moral courage for difficult decisions? Would it threaten them to accept that others also have a right to be? Once, when I wrote an article in a local newspaper, a reader questioned my Christian compassion. He did not realise that a rabbi – by definition – is not a Christian… but I wish that all the Christians were more respectful to the Judaism from which their Jesus came. I wish too that Muslims were more willing to acknowledge the Jewish influences on Islam, and recognise that there are historical factors behind the anti-Jewish statements in the latter part of the Koran. On the intellectual level, a leap of theology is certainly called for. On the practical level, we need a leap of action. Post-World War II Christian leaders have denounced antisemitism because of the havoc it wrought. At times, for example recently in Malmo, Christians and Muslims stood side by side with their fellow Jewish citizens. Such solidarity should occur every time there are anti-Jewish incidents. Jews are always responsive when Christians and Muslims are under attack. Christians and Muslims should reciprocate – even, indeed especially, those who criticise Israel. It would be good for the Jews – and good for the Christians and Muslims themselves. This entry is filed under Antisemitism & Racism, Articles, Interfaith Issues, Israel.